Yes, Darlene Jones, the lady on the camel, is back again. Why? Because she has three novels published, with a fourth in the works. I find it really strange that this book isn’t doing as well as some other books I have seen. The story line is good. The plot keeps you glued to the pages. Each character appears to reach out to readers so am not too sure what is holding this book back. What I did find fascinating were the twists and turns. A teeny bit similar to that of Agatha Christie’s multiple twists that explode in a conclusion that will make you flip through at least parts of the story if not the full book. Would I recommend this read? Sure, I think it deserves a lot more recognition than it is getting. Getting coded messages in your teeth tends to get your attention. Once Abby realized what this clicking in her teeth really meant the story really takes off. First one, then two, then several aliens all manipulate her as they tried to make a better Earth through this one person. The result takes Abby through extreme highs and to extreme lows as she tries to cope this concept without going crazy. 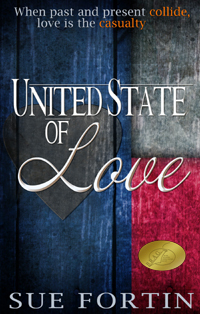 Very enjoyable read that contains, adventure, suspense, intense love all taking the reader to an unexpected end. Pick up a copy and enjoy this unique and fresh new Sci Fi Thriller. Hi, I’m Curtis. Mrs. Jones—that’s her on the camel—put me in one of her books called EMBRACED. Sounds pretty mushy to me. Anyway, she says I have to tell you a little about the story. Miss D, my school principal came to me one day with this page of scribbles. She thought it was some kind of code and she wanted me and my buddies to try to figure it out. I like Miss D and all. She’s not bad for an adult. You can talk to her and she doesn’t make fun. But, sheesh, a code from aliens? Anyway, to keep her happy, I said I’d help. Thing is, once I started studying the scribbles, I could see messages. I told Miss D that Coder Guy (that’s the name Miss D gave to whoever was sending the messages) wanted her to fix things. Of course she asked what things? I didn’t know so I made up some stuff. Miss D wrote letters to newspapers using my ideas and the things she asked for started to come true. Kinda spooky, eh? But fun too. Secretly I wished Coder Guy could get rid of my zits and help me lose weight so I wouldn’t be such a geek. I didn’t tell Miss D that, but Coder Guy must have read my mind or something cause now I’m taller and better looking and the girls are starting to talk to me. Miss D says everyone changes, but for me it happened awfully fast so I think Coder Guy did it. Now Miss D is in the hospital. She’s all screwed up by the messages and the letters and this guy named Sam. I think she really liked him, but he dumped her or something and that sent her over the edge. I’m going up to the hospital to see her now. Oops, Mrs. Jones just told me not to say too much. Doesn’t want any spoilers for her book so you’ll have to read it to find out what happens. Gotta go see Miss D now. Hope you like the book. “Embraced” is available at all amazon sites. On amazon.com you can find “Embraced” here, in e-book and paperback format. For paperback and all e-book formats other than Kindle, find “Embraced” at Smashwords.com here. Find out more about Darlene Jones by visiting her website here. Today I’m pleased to introduce my guest, Sue Fortin. 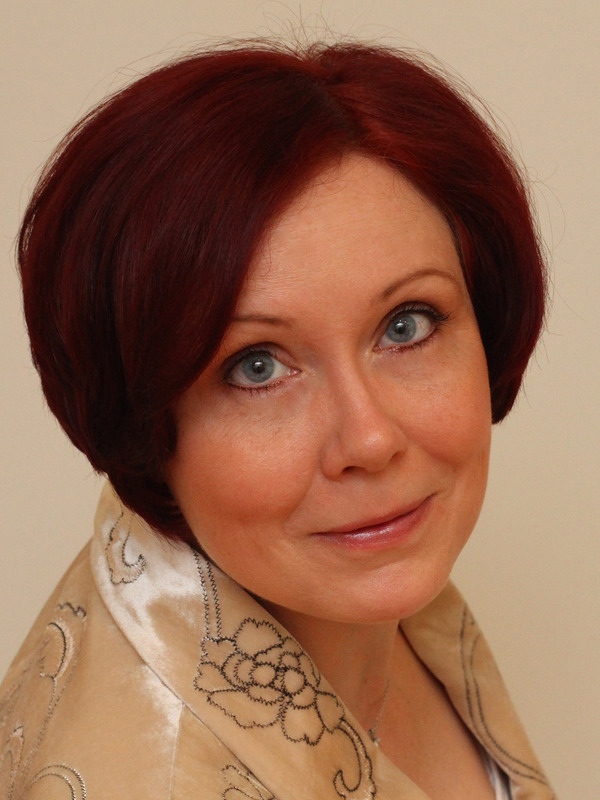 She lives in the UK and is author and contributor today at Anneli’s Place. Sue and I both apologize for the poor quality of the photos, but they were taken a long time ago and thus fit with the story rather well. UK television viewers of the 70s will, no doubt, remember the BBC sitcom ‘The Good Life’. http://www.bbc.co.uk/comedy/goodlife/ A quick summary for those who are unfamiliar with this sitcom: Tom and Barbara Good give up their middle-class trappings and adopt a sustainable, simple, and self-sufficient lifestyle without moving from their suburban home. They grow their own vegetables and fruit, and their garden becomes home to chickens, pigs, and a goat called Geraldine, much to the horror of their conservative neighbours, the Leadbetters. My dad always worked in London. 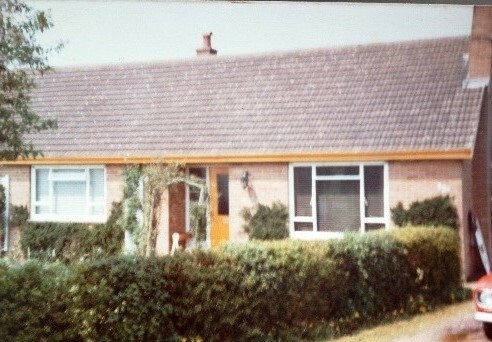 Wherever we lived he always commuted in. 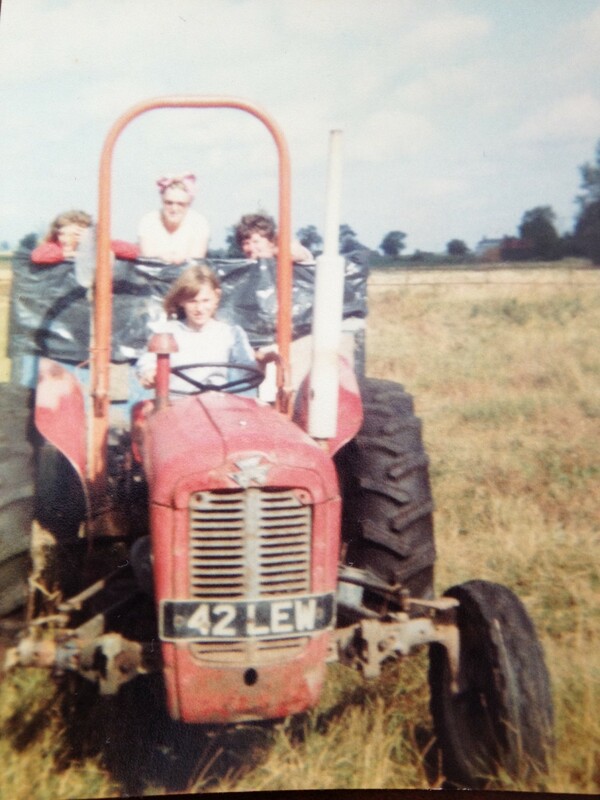 As fans of ‘The Good Life’ it seems my parents thought they would give it a go themselves and in the late 1970s moved us to a tiny and remote Fenland village in Cambridgeshire where our neighbours were either farmers or HGV drivers. Three acres of the land that came with the bungalow we lived in was given over to growing barley. There was a paddock for my pony, and we rented out stables and use of the paddock to other horse owners. One of the outbuildings became a free-range chicken house for approximately 150 chickens. My sister and I would go down to the barn in the mornings and rummage amongst the straw and roosting boxes to collect the day’s eggs. My mum would then box them and put them on a table in the conservatory where she sold them. We had a huge vegetable garden and mini orchard. Strawberries, gooseberries, plums, apples, pears, and the like were all harvested, boxed, and sold. as was the jam my mum made from the produce. Breadmaking was also a high on the ‘Good Life’ list. I remember we had to be careful when opening the airing cupboard as there would be tins and tins of dough ‘rising’ under a damp tea towel. Again, the bread was sold from our conservatory. In those days, I really don’t think there were any particular food hygiene regulations that you had to comply with. Certainly, nobody in the village seemed to mind, probably due to the fact that there was only one shop which sold the very basics, closed at lunch-times, had half-day opening on Wednesdays and never opened on a Sunday. Grabbing a loaf of bread or some eggs from ‘the new people in the bungalow’ was convenience shopping 1970s style. Sue Fortin was born in Potters Bar, Herts, but had a rather nomadic childhood, moving often with her family before finally settling in West Sussex, where she now lives on the south coast. Before taking to writing seriously, Sue had various secretarial jobs, eventually settling as a PA at a high street bank for 13 years. Kevin held the boat steady for me. It had a 9.9 Johnson mounted on the stern. I shuddered. Johnson. Sylvia and Joel Johnson. Well, I wasn’t going to allow him back into my life. I was finished with Joel for good. And to think I actually missed him the first few days. Good riddance, Joel. If I don’t see you before I die, it’s fine with me. “Here’s your life vest, Sylvia.” Kevin was practical, organized, and savvy about the real things in life. Unlike Joel. For that matter, everything about Kevin was unlike Joel. Could be why I liked him so much. We glided over the glassy water easily. A couple of hundred yards from the beach, Kevin cut the motor and we drifted in the sudden silence. Now that we were sitting still and the air was no longer whooshing past, I felt the soothing rays of the sun soaking into me. The early morning wisps of mist had lifted from the bay, leaving clear blue sky reflected in a deeper blue sea. I filled my lungs with the fresh, salty air. Moments later, I pointed. “There!” Kevin started the motor and, at a slower, quieter speed, angled the boat towards the school’s probable destination, so that eventually our paths would cross. “We’re almost out of it,” Kevin yelled above the engine noise. He saw that I was bearing the brunt of the beating at the front of the boat. I could only nod as I looked over my shoulder at him. 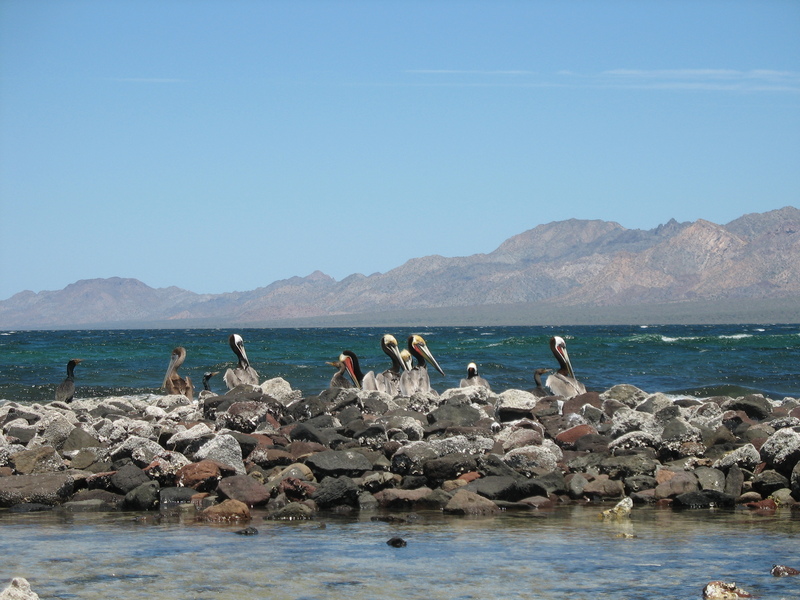 Closer to the beach, we zigzagged to avoid rocks. Beaching the boat here would be difficult. We continued along the shoreline until we rounded a point and entered the mini bay where our own sheltered beach lay. “Whew! That’s better,” I said. We pulled the boat ashore and secured it with a line to a huge rock far above the high tide mark. Immediately, Kevin started apologizing. and at smashwords.com for all e-reader types: http://bit.ly/Ru0EEr The paperback version is available at both sites as well. 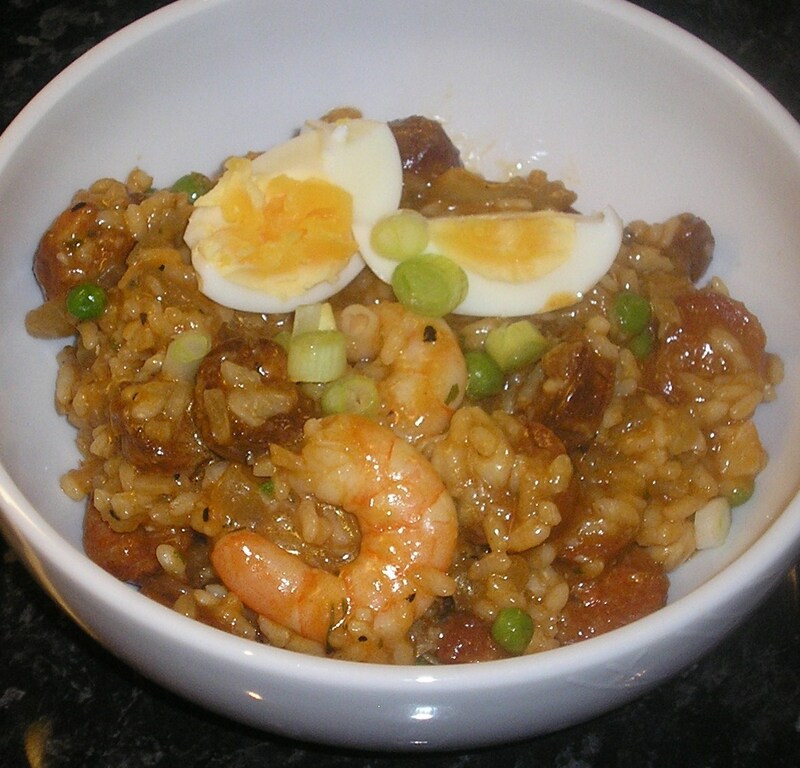 Come dine with Sophie and Dan: Today’s treat is… Scrumptious Paella! Hey, you! 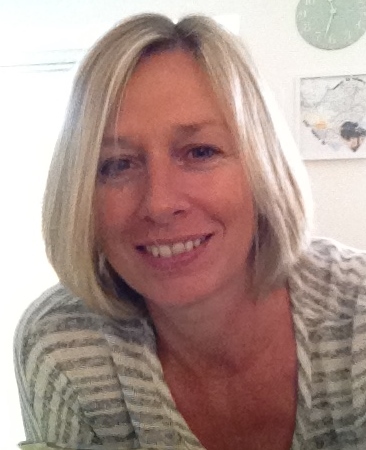 My name is Sophie, and I’m so excited you’re visiting me here today at Anneli’s fabulous blog. I’m the heroine (God, that sounds weird—I still blush when I say that) in the Rock Star Romance Trilogy by Nicky Wells. Nicky and I, we’re currently taking her second book, Sophie’s Run, on tour, and we’re taking you to all the places and sharing all the food that features in the books. Dan popped the tops and handed a bottle to Steve. He pulled out a kitchen chair and sat down, and Rachel joined him instantly. Steve was at the stove looking after the paella and I laid the table. “But we’ll be the first launch of the year, which gives us more time to get into the ‘best album of the year’ charts. Plus we’ll be touring from February, and the label has also booked a promo gig for New Year’s Eve. Tickets to go on sale soon, not that you’ll need any.” He grinned meaningfully. “I should hope so, too!” I teased. See? We’re having a regular little dinner party here. And here’s what you need to make your own, Sophie-style sumptuous paella for four people. Well, as you see from the ingredients list, this dish is versatile. I’m going to tell you my ‘basic’ version excluding all the optional extras; but if you feel inspired, just add them in as you go towards the end of cooking (I’d say… with ten, fifteen minutes left). 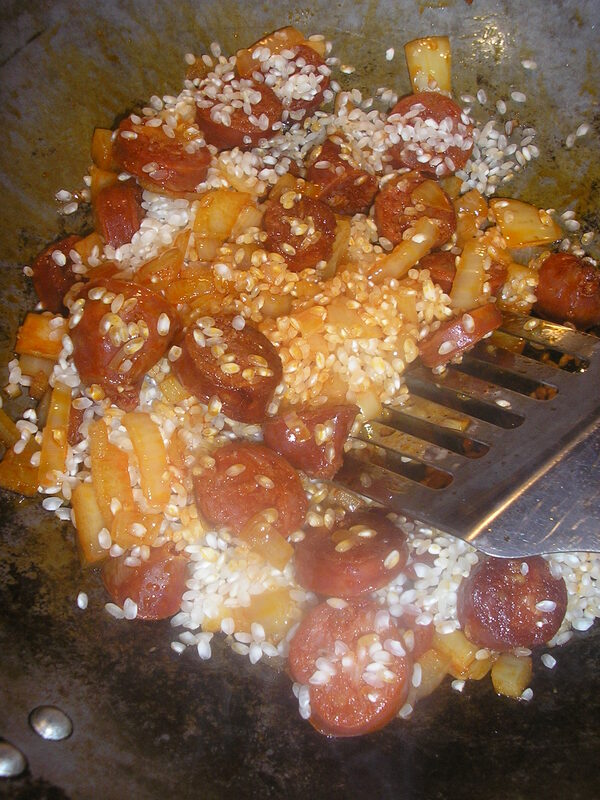 First of all, in a large frying pan or wok, dry-fry the chorizo until all the lovely fat oozes out. I like my chorizo crisp! 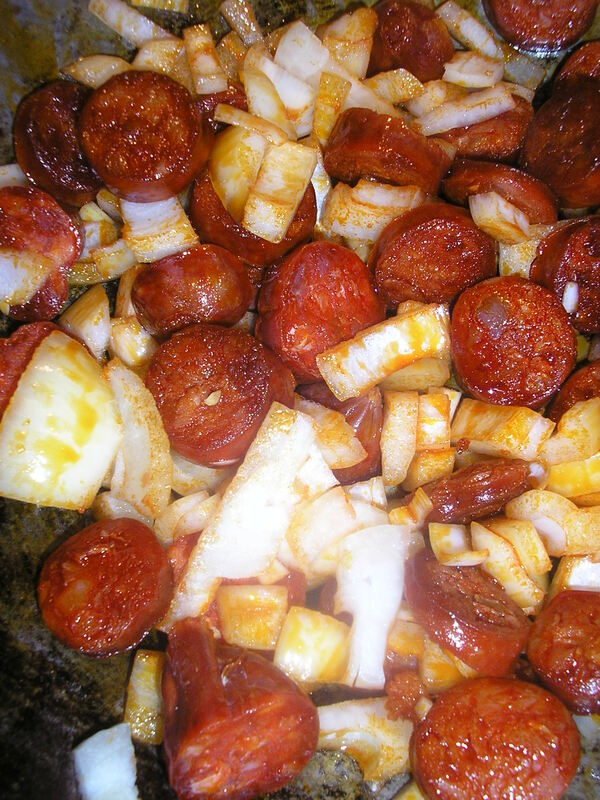 Then fry the onions in the chorizo fat until they’re just going glassy and soft. 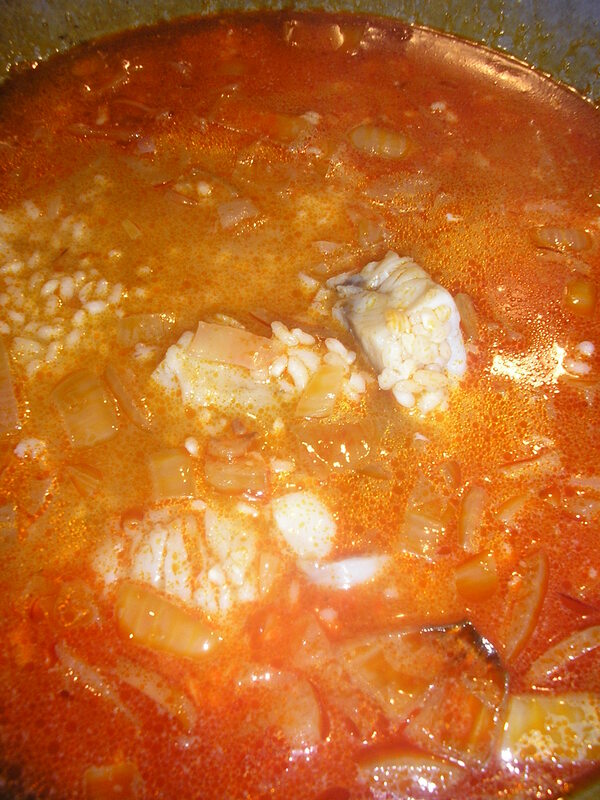 Add the garlic and the paella rice and give it a good stir until the rice is properly coated. Next, pour your chicken stock in and stir around. Boil for maybe a minute, then add the fish (if frozen), peas, herbs, saffron and pepper. (Leave the salt until the very end ~ all the fish and chorizo may already make this dish plenty salty!) Turn down the heat and simmer for about 30 minutes, stirring occasionally. If the liquid boils away, add more water. Meanwhile, hard-boil the eggs, leave to cool, peel and cut into quarters. Leave to one side until ready to garnish your paella. After 30 minutes or so, try the rice to see how far it has cooked. If it’s soft and very nearly done, add the king prawns and any other optional ingredients (note ~ if using chicken, brown it in a separate frying pan first so that it doesn’t dry out!). Simmer for another 10 to 15 minutes until all the seafood is heated through. Taste and season as needed. Spoon out into four bowls and garnish with the eggs. Enjoy with a large glass of wine! Nicky Wells is giving away one delicious chocolate gift to a lucky winner in the UK or North America! The small print: This Gift prize is a product of Unique Chocolate. The Gift prize is subject to availability in your country. 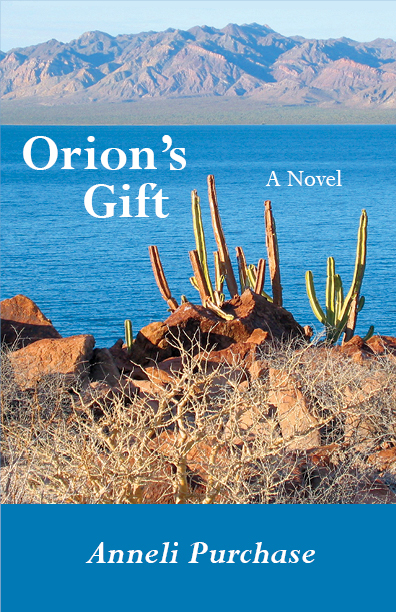 If the Gift prize is not available in your country, Nicky Wells reserves the right to offer a substitute gift prize of a similar nature at her discretion. Nicky Wells will require the winner’s postal address for shipping purposes. Nicky Wells offers a giveaway of one Amazon gift voucher worth $20/£15 for one lucky winner. 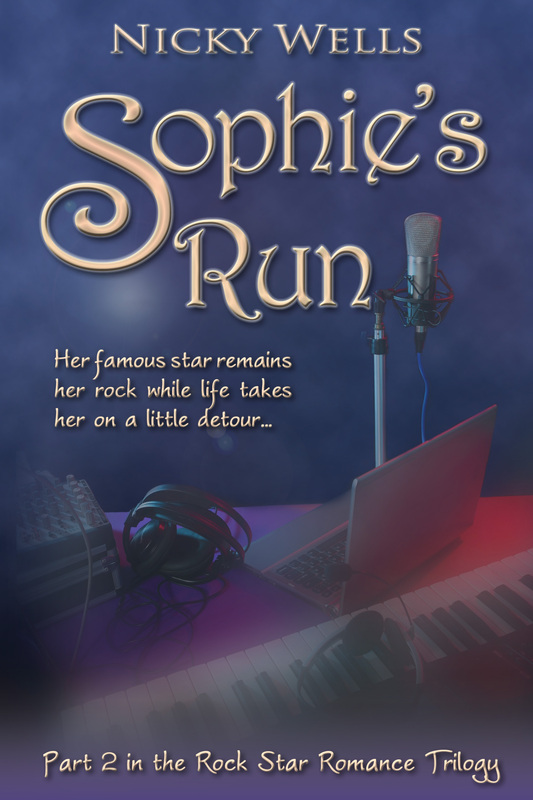 To enter, simply share your thoughts on Sophie’s Run with Nicky. Email your comment to nickywells@sapphirestarpublishing.com and your name will be entered into the draw. Competition closes 1 May 2013.